On Wednesday we had a short flight over to Stavanger where we showcased our beers at På Kornet. Arriving quite early, we had some time to check out the area first. Stavanger certainly doesn’t feel like a city, more like a traditional small coastal town and in this respect it was lovely. We had a few recommendations for other bars in the area so we duly went in to conduct some research. Having sampled a couple of excellent local beers, we headed off to the tap showcase where we spent the evening chatting to the local beer geek community and eating chicken wings. The beers were well received and our hosts were excellent. Thursday morning hit us with a bang (and an almost missed alarm) as we headed off to catch an early flight to Oslo. 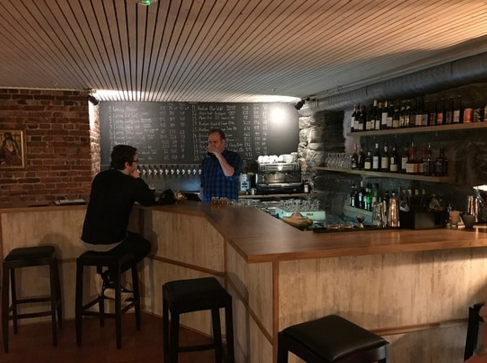 That evening we were guests in Brygg Oslo, home to a coffee shop, tap bar (35 taps), bottle bar (400 bottles) 2 pop up restaurants, 8 table tennis tables and a full home brew lab. It was a very impressive space with a great atmosphere and they even had a couple of our beers on. It may have taken a while for us to get into our stride but a nice relaxed evening was enjoyed as we sat discussing Norwegian beer culture with the bar staff and some locals. There are some very interesting laws around alcohol in Norway. 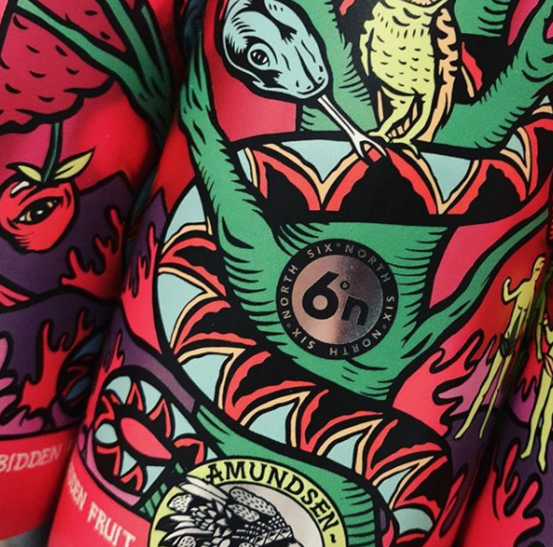 Friday was the brewday, so we hopped on the train to the magnificent Amundsen brewery to make ‘Forbidden Fruit’ a lemon & ginger sour. It’s fair to say that were was an element of brewery envy as we walked around the former nut factory that has been fully converted to house their rather high tech 40HL brewkit and all the toys alongside it. The atmosphere was very relaxed (until we set about the tedious job of peeling 5kg of ginger) and the brew went really well. Friday evening was a chance to chill and visit some of the vast amount of great beer bars in downtown Oslo. The scene has apparently exploded in the past couple of years and it seemed like every other bar was showcasing craft beer. Saturday was our final day in Oslo and we were headed to BD57 for a mini beer festival. The bar is owned by Brewdog but not quite self titled as that would be advertising an alcohol brand which is strictly prohibited in Norway. Alongside us pouring at the mini fest was Ølkymisten (a nomad brewery from Oslo with great NEIPAs and big stouts) and Eik & Tid (also Oslo based but they brew traditional Kveik styles, often with a modern twist) so there was a great mix of beers on offer. Overall it was a great week discovering just how fantastic the Norwegian beer scene is…we can’t wait to go back!